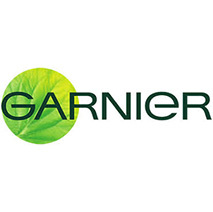 Since 1904, Garnier has been a hair and skin expert. Garnier has been developing innovative hair and skin formulas. Blending naturally inspired and derived ingredients into breakthrough formulas, the goal with every product is healthy-looking beauty that connects garnier to nature and community. Minimum quantity for "Garnier Light Complete white speed Fairness Face Wash 100g" is 1. Minimum quantity for "Garnier Skin Naturals, Light Complete Serum Cream SPF 19, 45gm" is 1. Minimum quantity for "Garnier Color Naturals, Shade 1, Natural Black 70 ml + 60 gm" is 1. Minimum quantity for "Garnier Color Naturals, Shade 3, Darkest Brown" is 1. Minimum quantity for "Garnier Color Naturals, Shade 3.16, Burgundy" is 1. Minimum quantity for "Garnier Color Naturals Brown - Shade 4 (70ml+60g)" is 1. Minimum quantity for "Garnier Color Naturals Hair Color, Shade 5, Light Brown (70ml+60g)" is 1. Minimum quantity for "Garnier Men Power White Face Wash, 100gm" is 1. Minimum quantity for "Garnier Men Power White Fairness Moisturiser SPF 15, 45gm" is 1. Minimum quantity for "Garnier Men Power White Anti-Pollution Double Action Face Wash 100g" is 1. Minimum quantity for "Garnier Men Face Wash Power White Double Action, 50gm" is 1. Minimum quantity for "Garnier Color Naturals, Shade 4.20 Wine Burgundy, (70ml+60g)" is 1. Minimum quantity for "Garnier Color Naturals - 5.32 Caramel Brown (70ml + 60gm)" is 1. Minimum quantity for "Garnier Color Naturals, Shade 6.60, Intense Red (70ml + 60gm)" is 1. Minimum quantity for "Garnier Black Naturals Hair Color, Shade-1 Deep Black" is 1. Minimum quantity for "Garnier Black Naturals Hair Color, Shade-2 Original Black" is 1. Minimum quantity for "Garnier Black Naturals (Brown Black 3.0) Oil Enriched Cream Hair Colour 20gm" is 1. Minimum quantity for "Garnier Black Naturals Shade Natural Burgundy 3.16, 20ml+20g" is 1. Minimum quantity for "Garnier Hair Colour - Natural Brown, Shade 4.0 Pack" is 1. Minimum quantity for "Garnier Color Naturals Cream, Natural Black 1, Mini 35ml+30g" is 1. Minimum quantity for "Garnier Color Naturals Mini Shade 3 Darkest Brown, 35ml + 30g" is 1. Minimum quantity for "Garnier Color Naturals Mini Shade 3.16 Burgundy, 35ml + 30g" is 1.